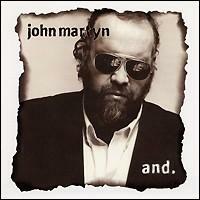 Though his reputation is based on folk music, in the 1990s John Martyn began saying he was "funky, not folky," and this album proves it. A heady brew of trip-hop, late-night jazz, and heavy rhythms, it was a step away from the primarily smooth jazz of his 1980s work and a quantum leap away from his 1960s and 1970s acoustic music. It's a successful venture, as Martyn's slurry impressionistic vocals were made for this kind of music. "Sunshine's Better" is the highlight track, and it's so good that it's on the album twice, the second time as a remixed unlisted hidden track tacked onto the end. Phil Collins guests on some songs (most notably "Suzanne"), but thankfully his sound, which could be antithetical to the songs, does not predominate. Though this album may distance listeners loyal to the earlier Martyn sound, those approaching with an open mind will find an artist ably keeping current and a quite good collection of songs. Released on 29th July 1996. John had been struggling with health, record labels and other problems. And came over four years after John's last new material on Cooltide. The result was an excellent album, which showed clearly that John's music was still progressing with the use of samples and trip-hop beats. Produced by Stefon Taylor who was clearly an inspiration to John. John was now signed to the Go Discs label along with bands like Portishead. Unfortunately, this was another short-term relationship as the Go Discs label was soon bought by Polygram. And is a remarkable album and one, which I return to regularly. Phil Collins and John Giblin both play on the album and Phil Collins backing vocals are evident on some of the tracks, particularly Suzanne. Some critics criticised Collin's involvement as detracting from the album but on the whole "And" was received well particularly by fans. Crackles are evident on some tracks and on making enquiries of Go Discs I was told that this was vinyl feel! The album was also released on vinyl - wonder if that's got double vinyl feel then!? Nonetheless there are some classic songs on this album, The Downward Pull Of Human Nature, Carmine, Sunshine's Better and She's A Lover. Four of the tracks featured on the Snooo.. cd ep which had been given away free with a t-shirt. This has now been rereleased by Voiceprint. An unlisted Acid Remix of Sunshine's Better with a superb bass-line brings the album to a close. Asian dance/remix artist Talvin Singh was to remix Sunshine's Better and this version received much radio airplay especially on Radio 1. This is totally different to the remix which appears at the end of "And" and it is included on a compilation album Cafe Del Mar Volume Four. A 12 inch promotional version of the track was also released on vinyl lasting some 12 minutes plus! Go Discs planned to release Sunshine's Better as a single but it was withdrawn prior to release. One or two copies of a Radio Edit Version on cd made it to radio stations but these are without a sleeve and are very hard to find.